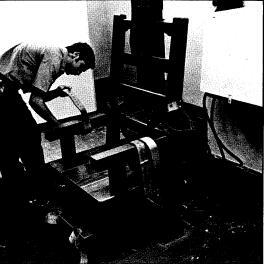 As a psychiatrist in the Wayne Unit of Texas' Huntsville prison from 1960 to 1963, Dr. Lee Hartman presided over 14 electric-chair executions. When his grandson, Ben Hartman, a journalist, began investigating Dr. Hartman's life, he discovered journals that chronicle those executions and the psychological toll they took, possibly contributing to Dr. Hartman's suicide in 1964. Dr. Hartman's journals contain basic data on the men who were executed, including their names, race, a summary of the crime, and notes on the execution itself. More profoundly, though, they capture Dr. Hartman's reactions to his experiences and how they shaped his views on the death penalty, leaving him—in his grandson's words—"a determined opponent of capital punishment." In 1962, Dr. Hartman wrote, "The death penalty is irreparable." After the highly-publicized execution of Howard Stickney, a 24-year old who professed his innocence, Dr. Hartman wrote, "Very shook up and angry over whole cruel mess." He had been with Stickney on his scheduled November 10, 1961 execution date as they neared the door to the execution chamber. 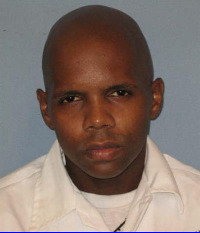 The journal reports that the phone rang at 12:32 a.m. with news that a judge had granted a 10-day stay of execution. This was "[a]pparently a complete surprise to Stickney," the journal entry says, "who broke down, prayed and wept.” In May of 1962, still professing his innocence, Stickney exhibited "[d]ignity and grace, shook hands with several guards while waiting, didn’t want to take coat off.” The journal reports: "At 12:24, warden returned–no stay, Stickney quietly sat in chair." Three separate jolts of electric current were sent through his body, "1st shock at 12:25–dead at 12:30.” Elsewhere in the journal, Dr. Hartman wrote 19 pages on arguments for and against capital punishment, clearly setting out his views. 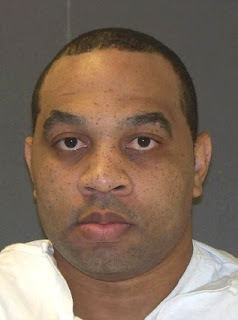 “The death penalty has a brutalizing and sadistic influence on the community that deliberately kills a member of its group,” he wrote, permitting the public “to vicariously indulge in vicious and inhumane fantasies under socially-acceptable guises.” He wrote: "The death penalty is not applied impartially. There is such surfeit of these cases that to mention them would be redundant. The poor defendant is obviously at a disadvantage and frequently receives the extreme penalty while the wealthier accused escapes a prison term. There is well known discrimination on racial or class lines." Dr. Hartman struggled with depression for many years, spending several months in a mental hospital after working in the prison. In 1964, he committed suicide by taking an overdose of pentobarbital, a drug now used to execute prisoners in Texas.